ARCA is a private not-for-profit organization opening doors for over 700 children and adults with intellectual, developmental and cognitive disabilities to live great lives. Since 1957, our services continue in the spirit of our founding Albuquerque families. We provide customized opportunities for individuals with intellectual, developmental and cognitive disabilities to live, work and enjoy rich recreational experiences in valued community roles. 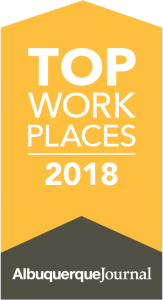 ARCA was awarded a 2018 Top Workplaces honor by The Albuquerque Journal. For a list of current job openings and TO APPLY, CLICK HERE.